Is India about to make history? Will India see an aggressive takeover of Capitalism from a long history of Mixed Economy? Will India realize her dream of becoming a global superpower? There are many questions that keep haunting the Indians. Have you ever pondered over these questions? May be you have. But, have you ever thought whether Mudra Bank Yojana from Modi government is just one step towards achieving the dream? It looks like that. A massive economic growth largely depends on privately owned businesses in a country. It is true that capitalism widens the gap between the rich and the poor but it is also true that without capitalism, economic growth is not possible at optimal levels. Mudra Bank Yojana which aims towards providing funds necessary for growth of businesses in small and medium companies is definitely, if you ask us, carving the path for capitalist ideology which in turn will lead to economic growth. Will it be a welcome change? Definitely yes! We have long lived in the shadows of thugee politicians who have blatantly ignored the welfare of Indians and amassed massive wealth in their hidden bank account. We definitely need a change. 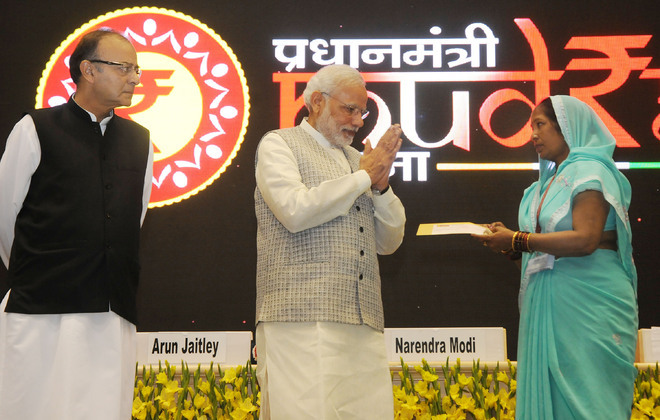 And… Mudra Bank Scheme may be the right catalyst that will help us evolve. There is no shortage of entrepreneurs in India and entrepreneurial thinking is right now a hot trend among Indian youth. Shishu loan is targeted towards those people who are either aspiring to become an entrepreneur and have a good business plan in place or for those who have just started up but require some funds to reach out to people in order to spread awareness about their existence. This group gets the most attention as under this scheme, 60% of the total corpus funds will be given out to the startup. Kishor loan on the other hand is for small business who want to expand. This loan will help them to buy new raw materials, hire a few more hands and increase their production. The final product, i.e. the Tarun loan is for medium-sized businesses which require funds for purchasing new equipment or creating new setups that will help them to reach out to new markets. Though the amount of loan that will be provided under the Mudra Bank is not adequate, it is still better than nothing. Every penny matters in a business and with little bit of intelligence, even small funds can become real game changers. This is exactly what Mudra Bank want to achieve. So, what do you think about this Mudra Bank Scheme? Will it work out? Will India manage to realize her dreams? Drop your comments and let us know your ideas and views.